Being one of the most affordable MPVs on the market is no easy feat. 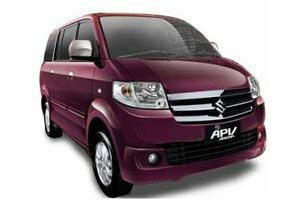 But is the APV sacrificing too much to be affordable? Authorised Distributor Suzuki cars are Suzuki S-Cross, Suzuki Swift, Suzuki Vitara. Parallel Imported Suzuki cars are Suzuki Every, Suzuki Jimny, Suzuki Swift Sport, Suzuki Xbee Hybrid.